While we can mat and frame a lot of different things, photos and paintings are the most common things to put in a frame, so deal with them a lot. And on this rainy Friday, it gave me an idea- let’s take a look at the same place thorugh the mediums of both painting and photography. I chose none other than Paris. If you want make a side by side comparison, have look at our multi-opening mats. First, a painting of Paris from one of its most famous residents- none other than Vincent Van Gogh. 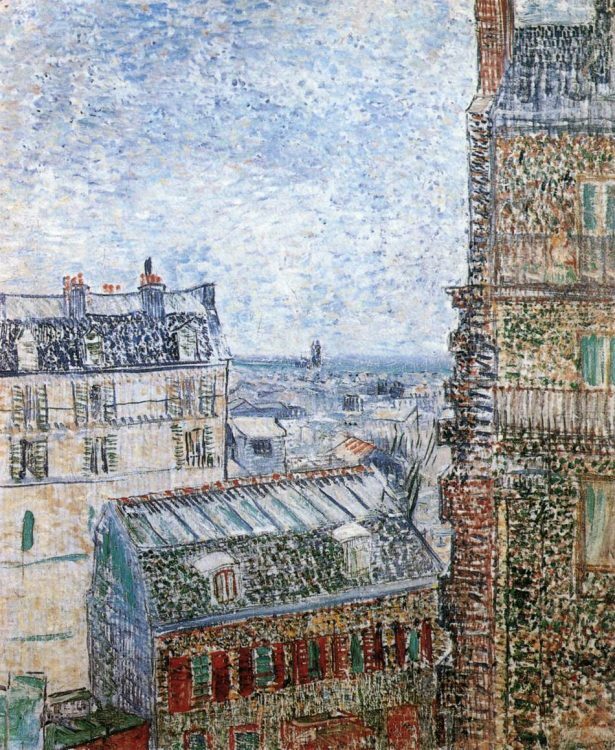 While living with his brother on a hill above Paris, at some point Van Gogh realized he had an amazing view. Its hard to fault the artist for wanting to capture this view. The architecture and colors of the nearby buildings are great, and the way the view extends into the distance breathtaking. 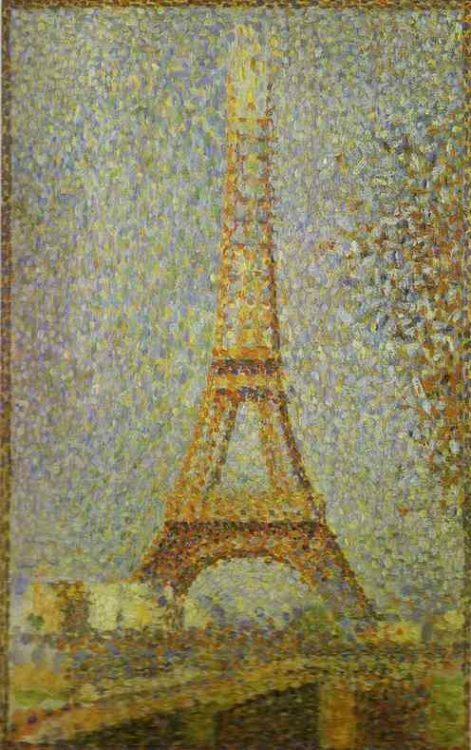 Next, have a look at this piece by Seurat of the Eiffel Tower. Painted only a few years after the Van Gogh, the tower was still new at this time. Seurat also uses an interesting style in this piece that makes it look a bit like an old color photo to me. I’m sure that wasn’t what he was going for, but I find the effect interesting. 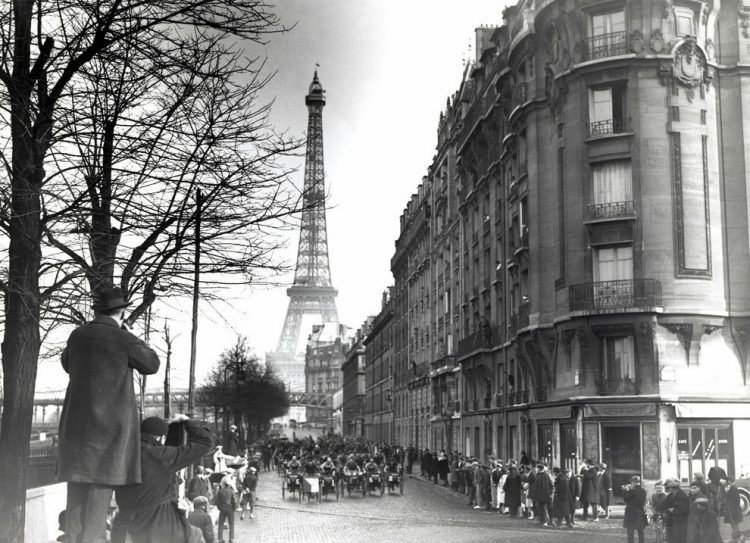 And finally, one of the oldest photos of Paris I could find- though there are many to be sure. It’s not just artists who have been impressed with the city. The above paintings show the beauty of the city, but this photo shows a very different perspective. I can imagine walking down this street every day and still being awed by the view. And if you want to take in a view like this every day, you can order a mat and frame to go with any of your favorite photos.